After a long time of sitting and deliberation, the Code of Conduct Tribunal (CCT) has dismissed the charges of false asset declaration against Senate President, Bukola Saraki. Chairman of the tribunal, Danladi Umar, in his ruling this morning, said the prosecution team had failed to provide sufficient evidence to prove that Saraki was indeed guilty of false asset declaration. The witnesses brought in by the Federal government had given contrary testimonies during the trial. On May 4th this year, Saraki through his counsel, informed the tribunal that he would file a no-case submission, which implies that he is not opening a defence but asking the tribunal to discharge him of the charges because there is no case against him. This was after the prosecution led by Rotimi Jacobs called its final witness and closed it case. In September 2015, the Federal government filed a 13- count corruption charge against Saraki. Among the charges, Saraki was accused of making false declaration of assets on assumption of office as governor of Kwara state in 2003. 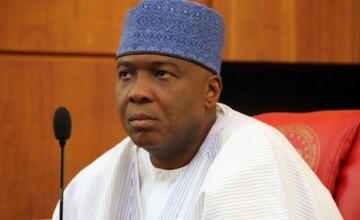 0 Response to "CCT Finally Clears Saraki Of False Asset Declaration Charges"